With our modern 3D rendering design PA & graphic designing studio, Capital Exhibits brings your visions into a reality utilizing the latest graphic design trends and techniques. 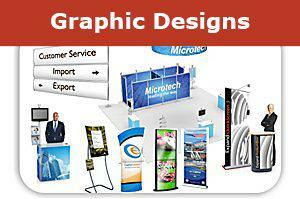 Capital Exhibits banner design artists know how to create designs that take your image to a higher level. Our brochure design work and graphic design business card services offer a physical take-home for potential customers. We can also incorporate a unique quick response code specific to your company or product that instantly connects you to the tech savvy customer in a whole new format. We know that your trade show displays make the first impression on the exhibit floor and how important it is to create an eye-catching environment. With our team of specialists in exhibition and fair graphic design, we will make sure your exhibit space is precisely engineered to draw in business. We have the right array of products to fit any financial budget. 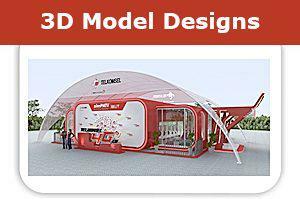 Check out our 3D rendering design gallery idea. Our displays are easy to put together, easy to break down and built to last time after time. By combining professional graphic art design services with custom Table Tops, Back Wall Displays, Hybrid Displays, and Outdoor Displays, the design possibilities are endless! Capital Exhibits graphic design images and advertising services will prove to be one of the best investments you can make for your company. With the right logo and promotional products, you invest in more than graphic design outsourcing. You develop a true branding design for your company. We also encourage utilizing the latest graphic design trends and techniques to integrate technology into your displays. By blending traditional printed materials with kiosks and interactive monitor stands, you create an environment that makes a lasting impression on your potential customers. Rely on our experts to “Build Your Best Image” for all your future events. For more information on logo design prices, print design pricing, graphic design quotes & rates contact us today! Call (866) 730-3746 to speak with one of our graphic designers or contact us via email at [email protected] with any questions.